Release tension, relieve stress and correct abnormal sustained postures, like forward head posture, with the Pivotal Therapy System. This set includes four Pivots. The Occipivot (#4502C) is useful for the treatment of muscle tension or abnormal sustained posture, (e.g., forward head position). The Cervical Pivot (#4504C) is a substitute for gentle cervical traction and is an effective tool for strengthening, self-mobilization, and self-release of sternocleidomastoid, upper trapezius and first ribs. 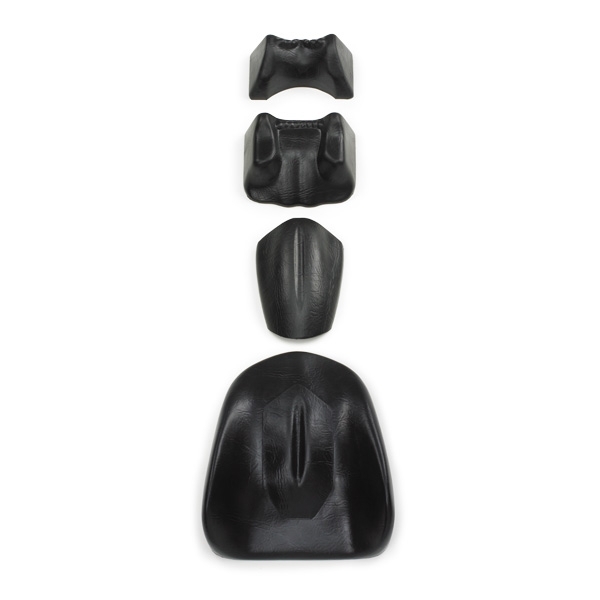 The Short Thoracic Pivot (#4506C) is ideal for craniosacral treatment or mobilization of the thoracic spine/ribs. The Lumbar Pivot (#4510C) provides an ideal platform for mobilization and extension of the low back.